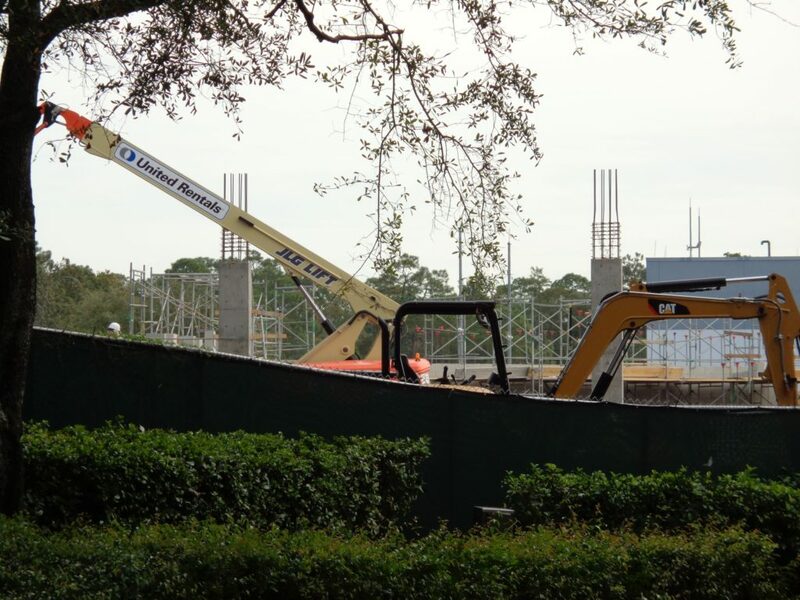 It’s time to check in on some of the largest construction projects in Orlando, going on now at Epcot in Walt Disney World. 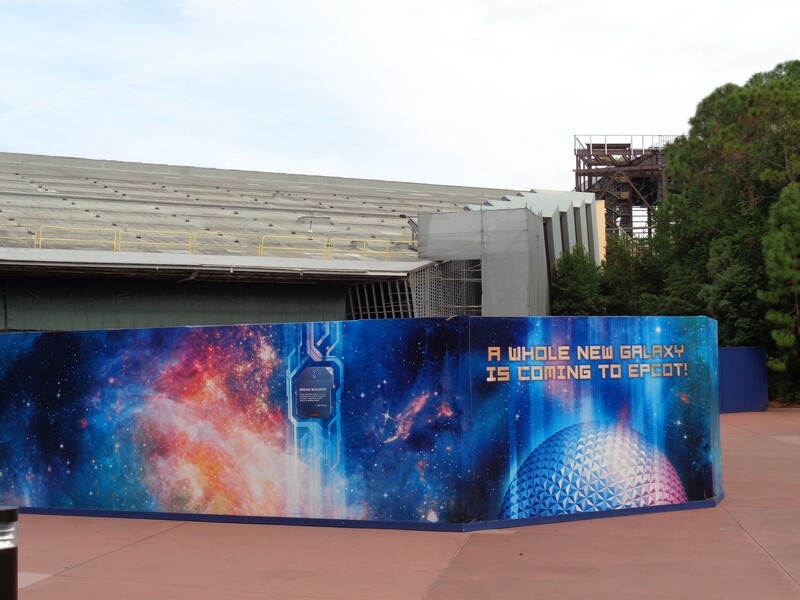 The gigantic Guardians of the Galaxy roller coaster garners the most attention currently, but with new go-away-green and look-away(?) 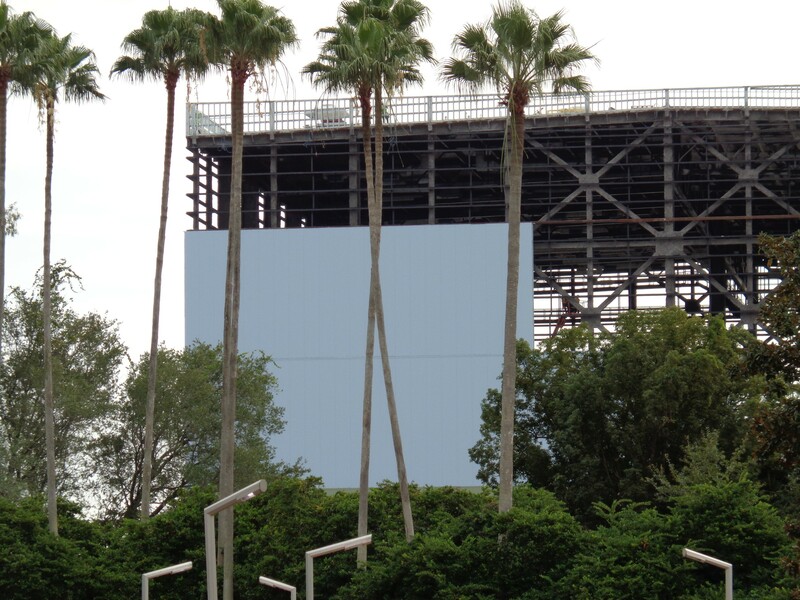 blue panel walls going up, it’s actually starting to blend into the skyline a bit better. 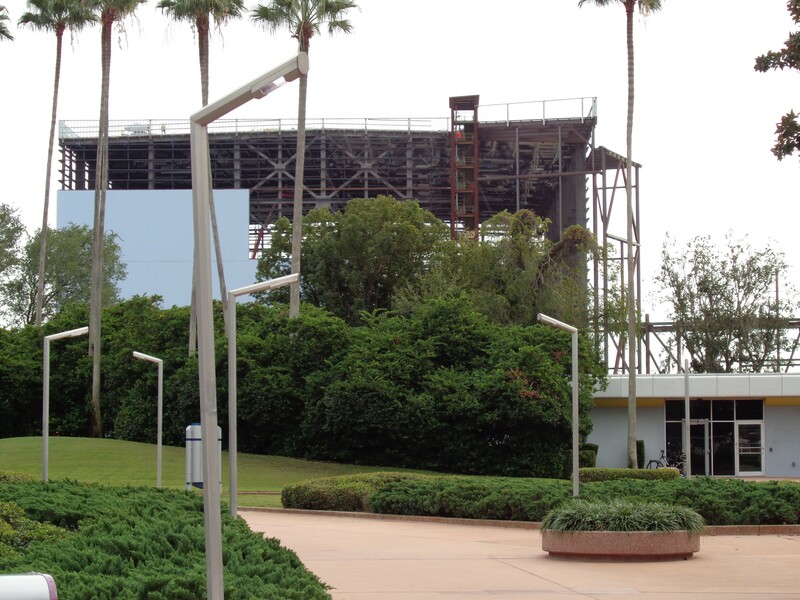 The old Universe of Energy building turned out to be in much worse shape than expected so we’re seeing it getting even more gutted, if that’s even possible. 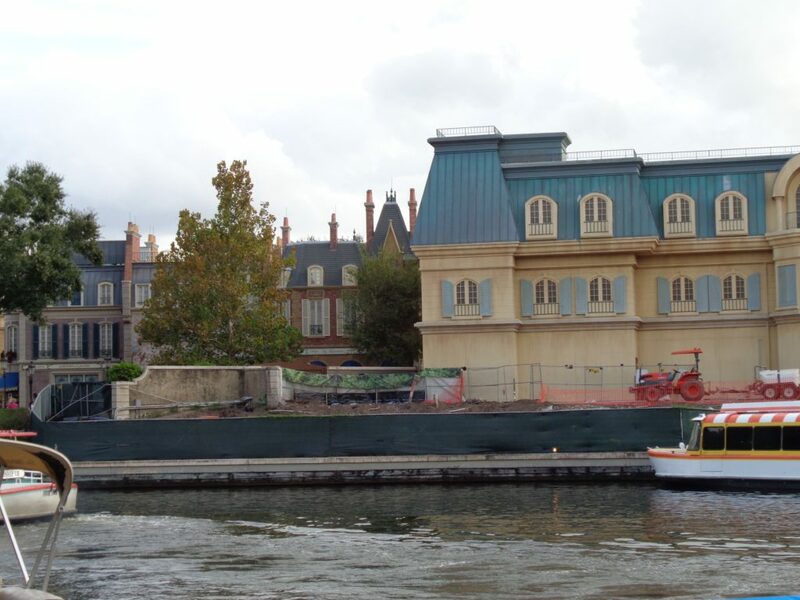 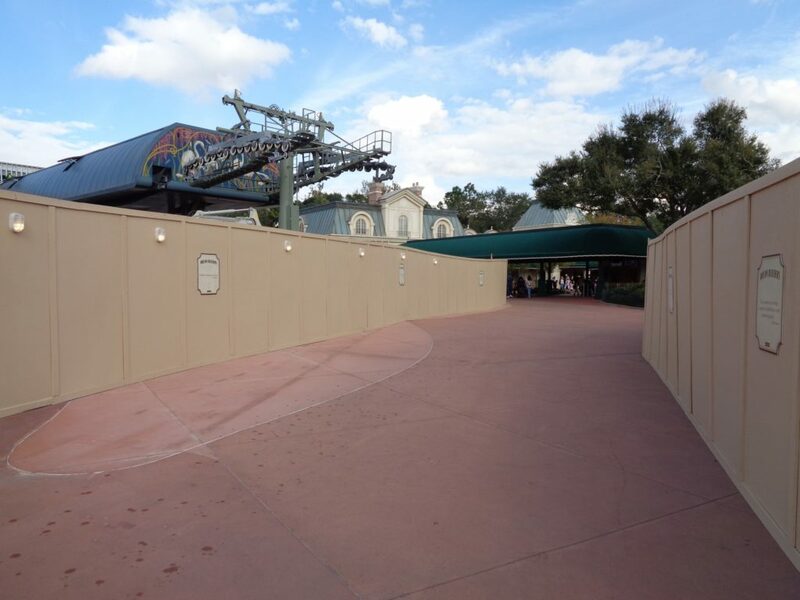 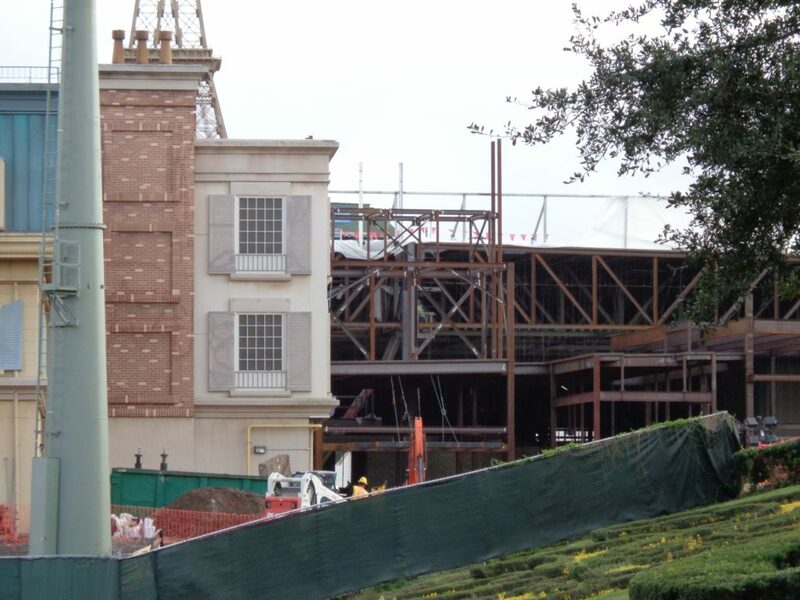 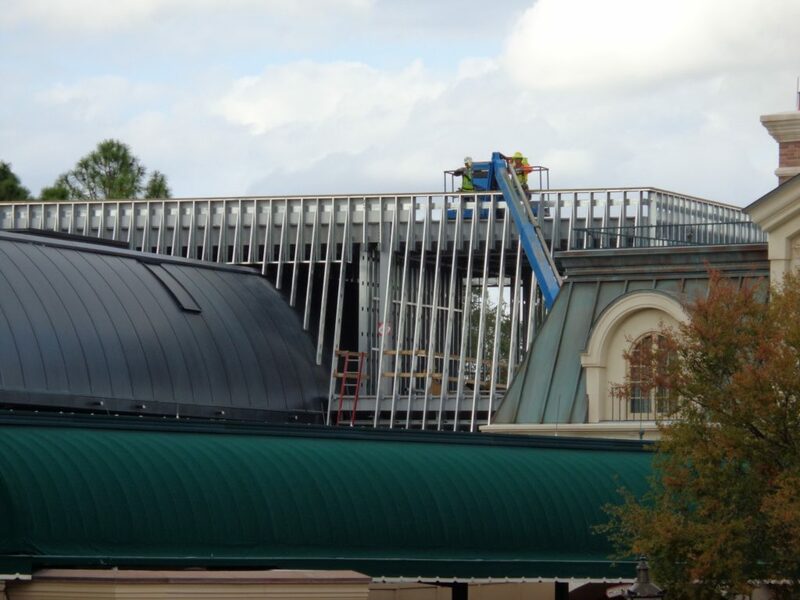 The other big project going on is the “Remy’s Ratatouille Adventure” ride being constructed behind the France pavilion. 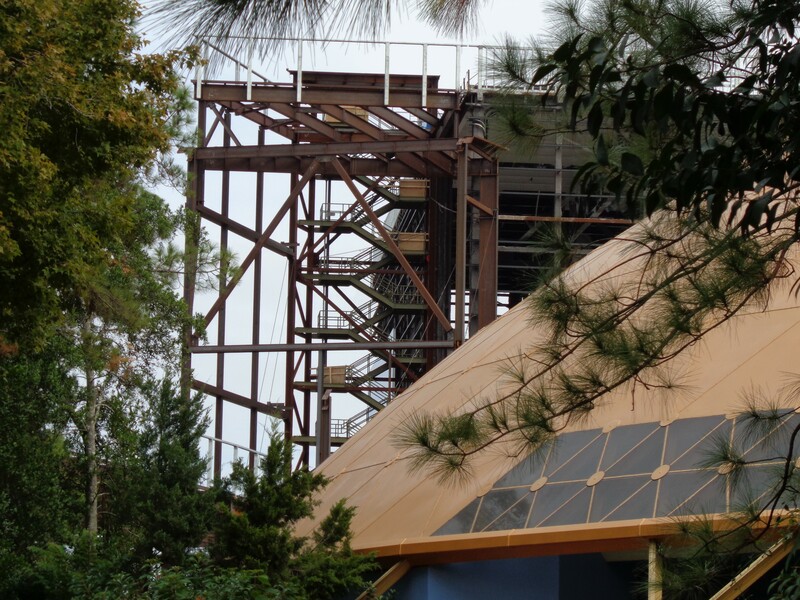 We got a great look at the new structure for the ride’s facade during this visit. 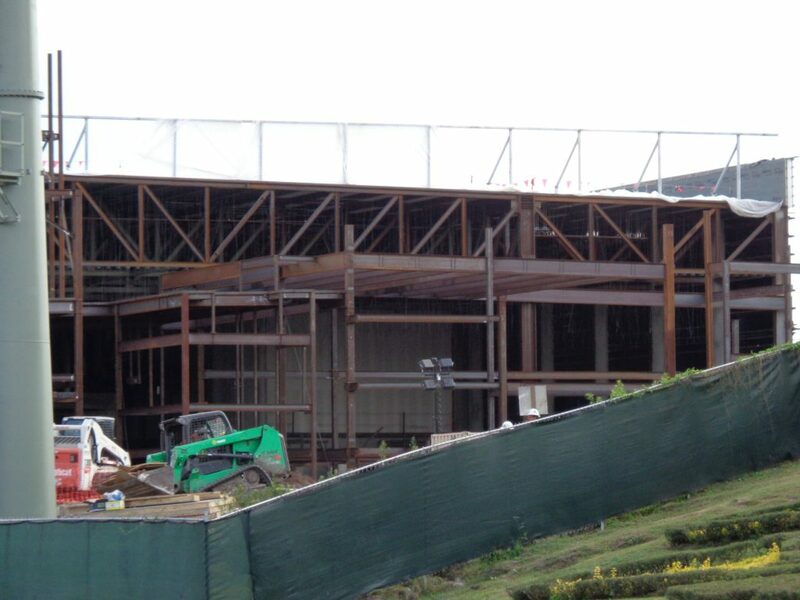 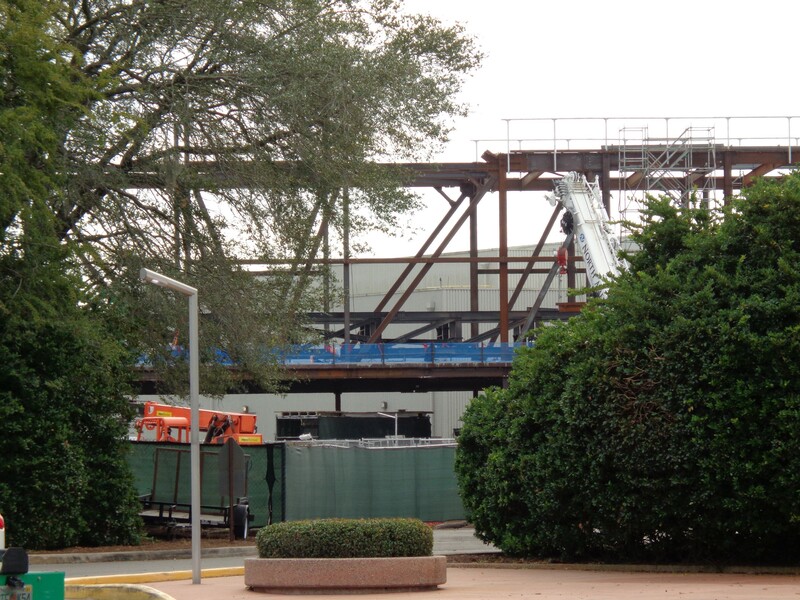 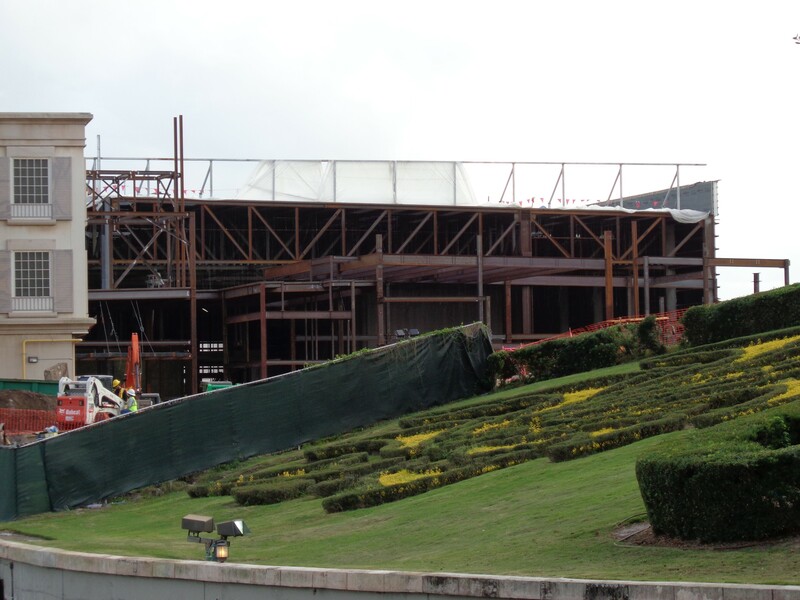 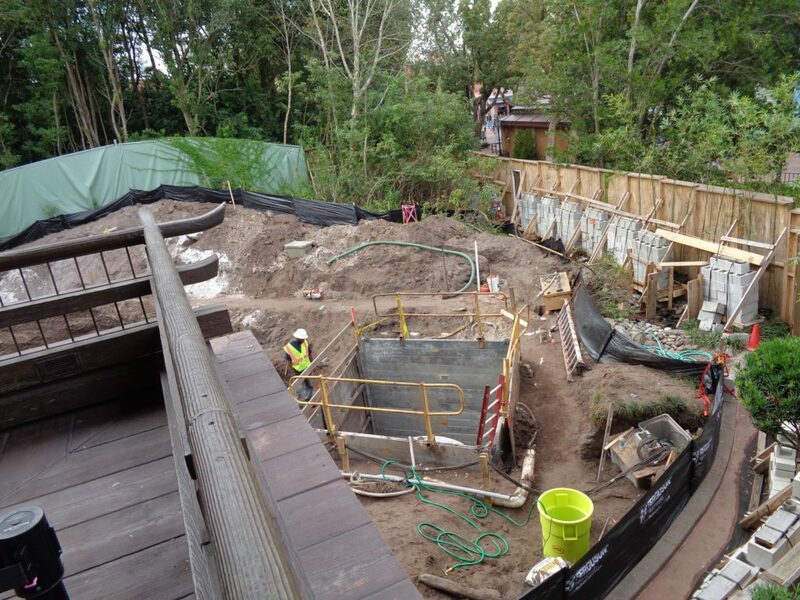 We also got some great views of the Disney Skyliner station being constructed at the International Gateway entrance. 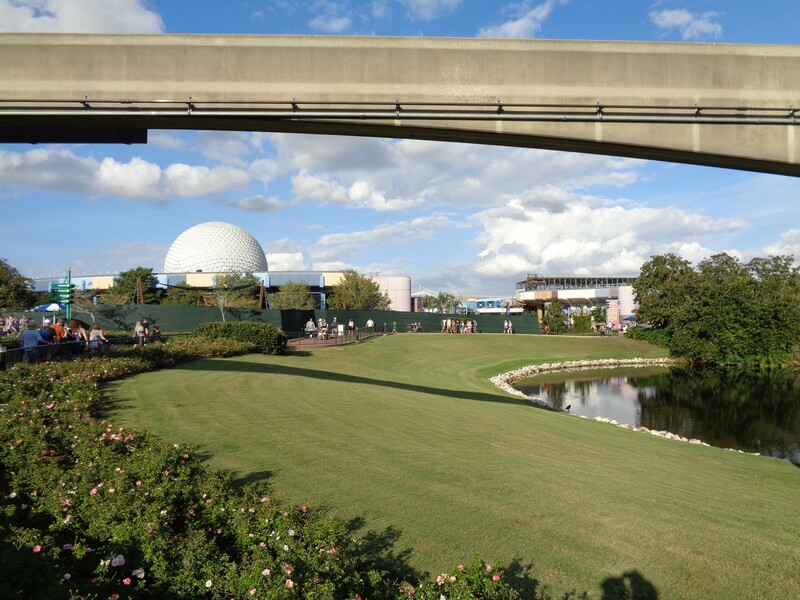 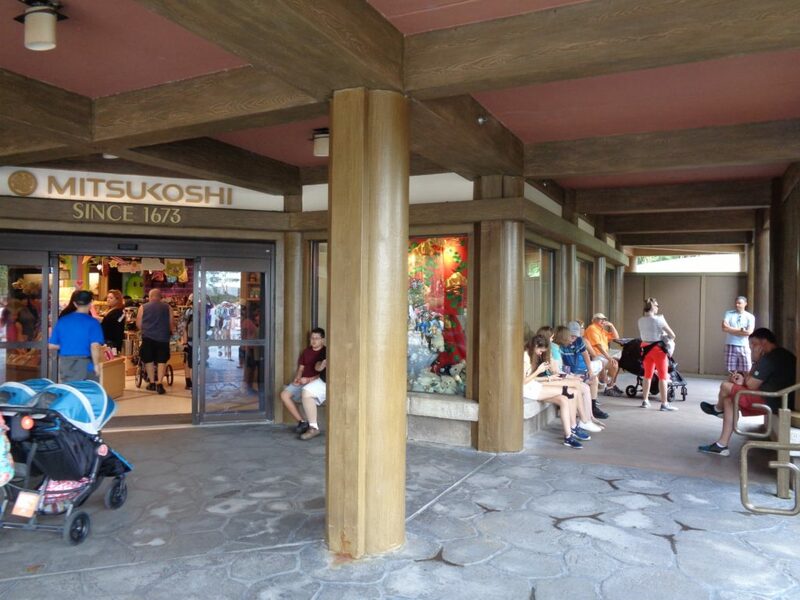 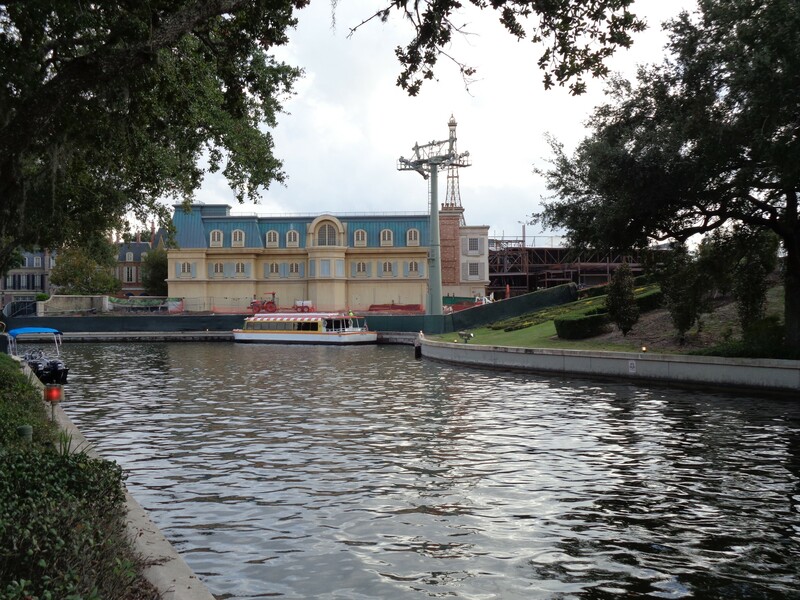 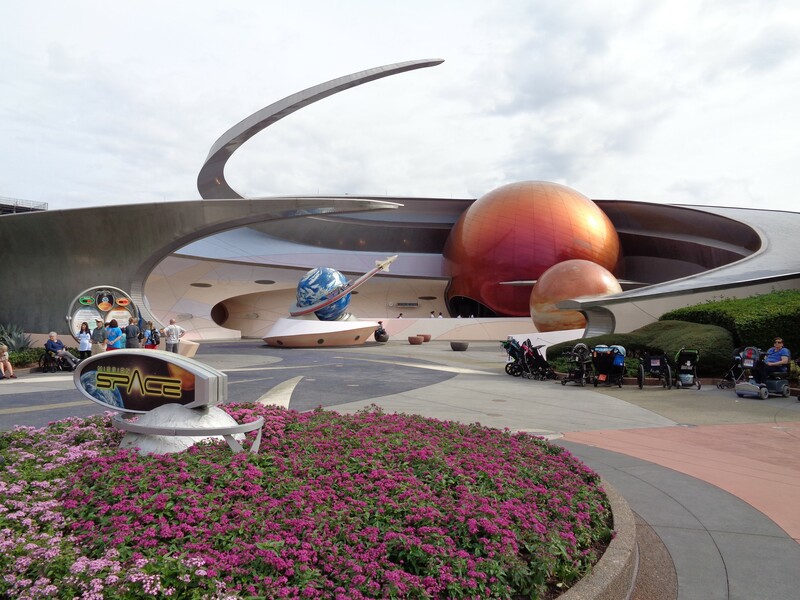 Also, we check in on the two new restaurants being built, one in Japan and the other, a space-themed restaurant connected to Mission: Space. 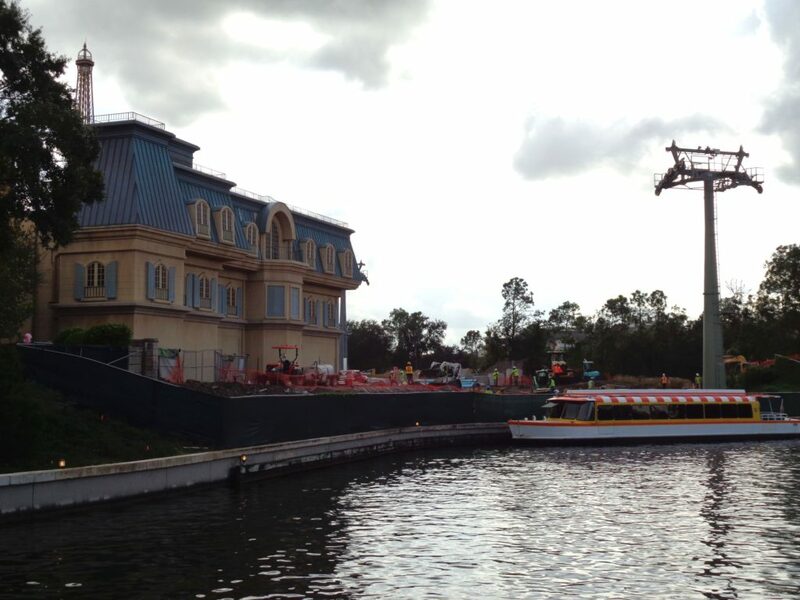 Check out the complete photo report below for more details and stay tuned for more theme park updates coming soon. 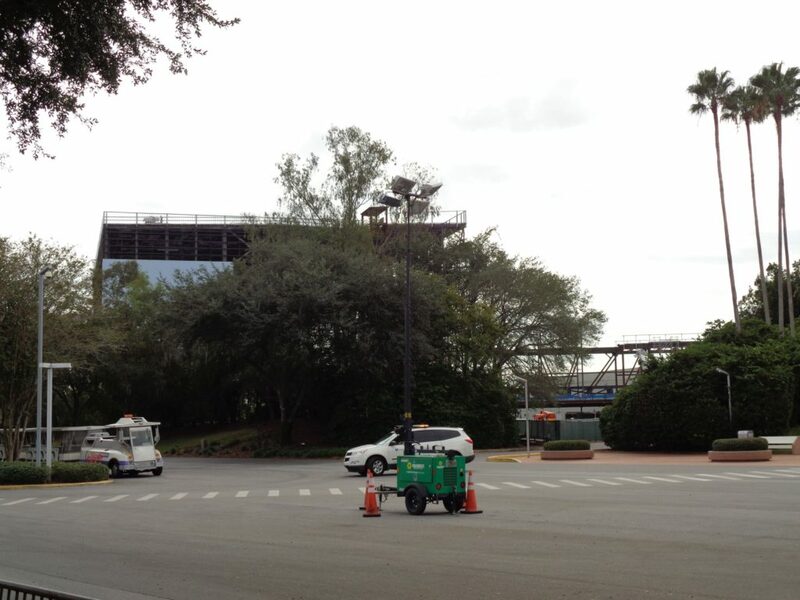 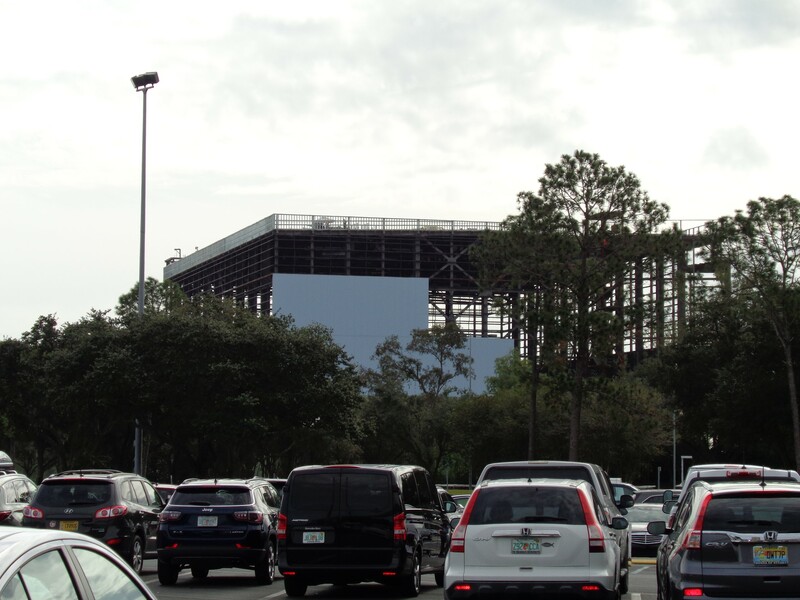 Let’s start by taking a look at the Guardians of the Galaxy show building from the parking lot. 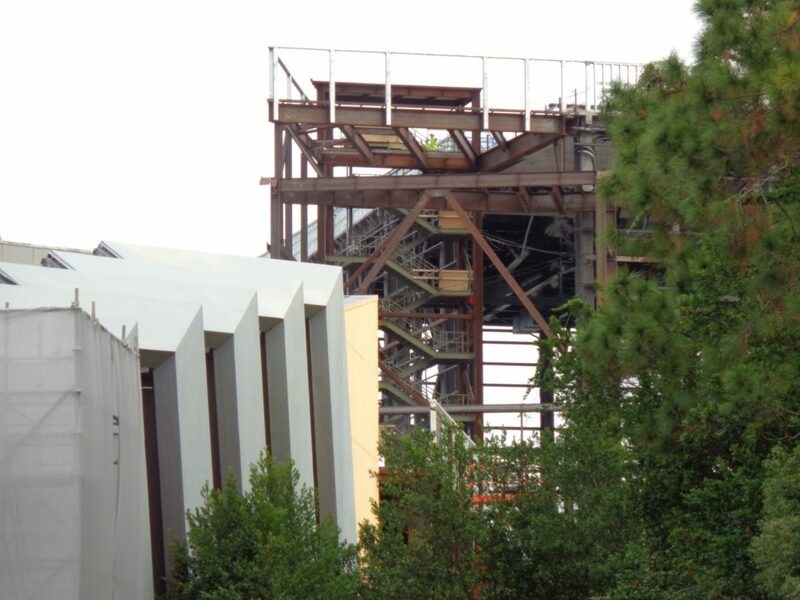 We can see the walls going up, green on the lowest section to blend into trees, and blue on the upper parts to blend into the sky. Usually the blue blends into the sky pretty well, but today was a particularly gloomy and gray day, so the blue is standing out a bit more. 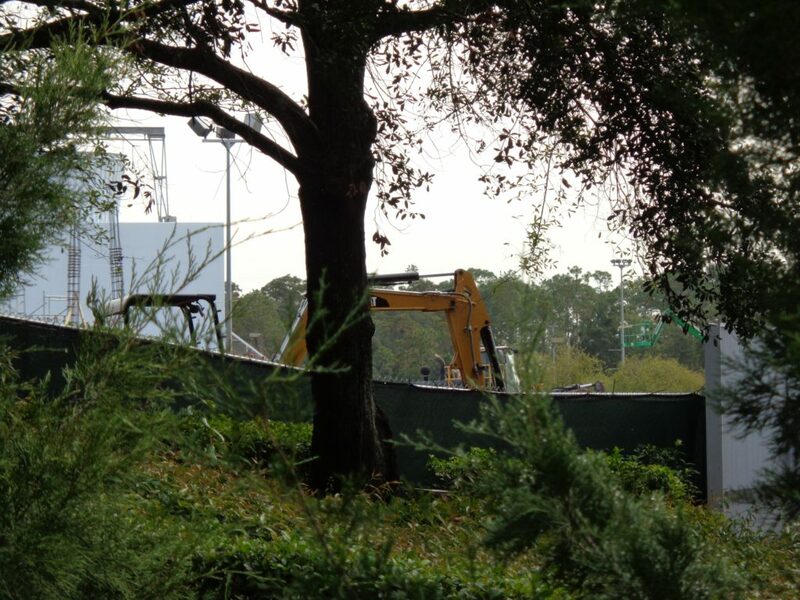 Between the huge building being built to hold the indoor roller coaster and the original Universe of Energy building (which will house the queue, preshow, and load station,) they’re building a raised tunnel connection. 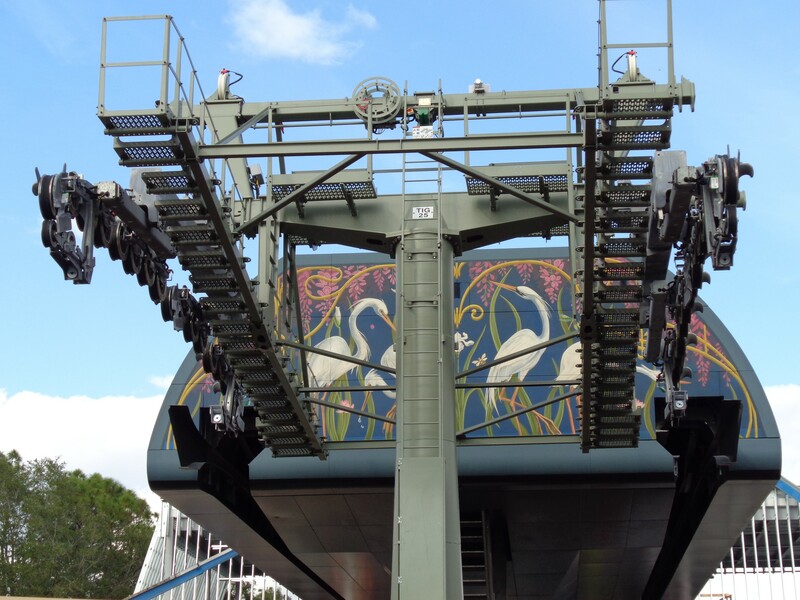 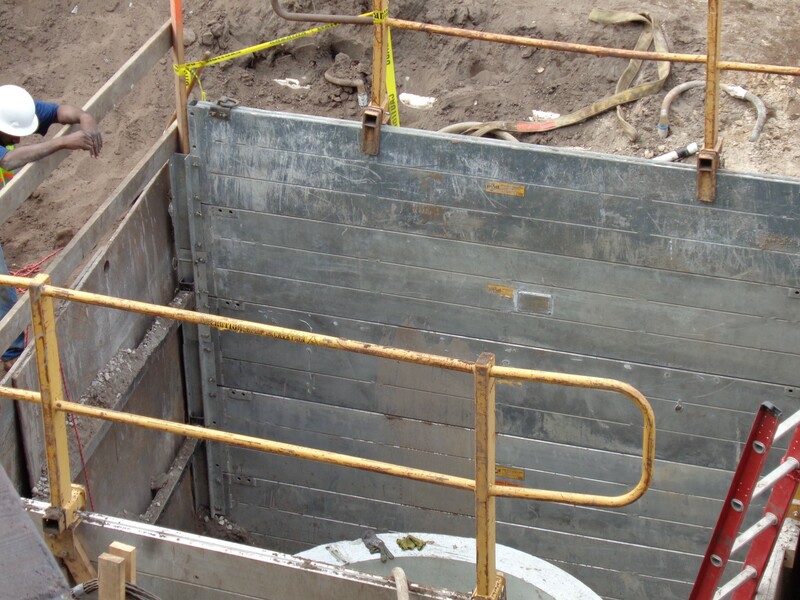 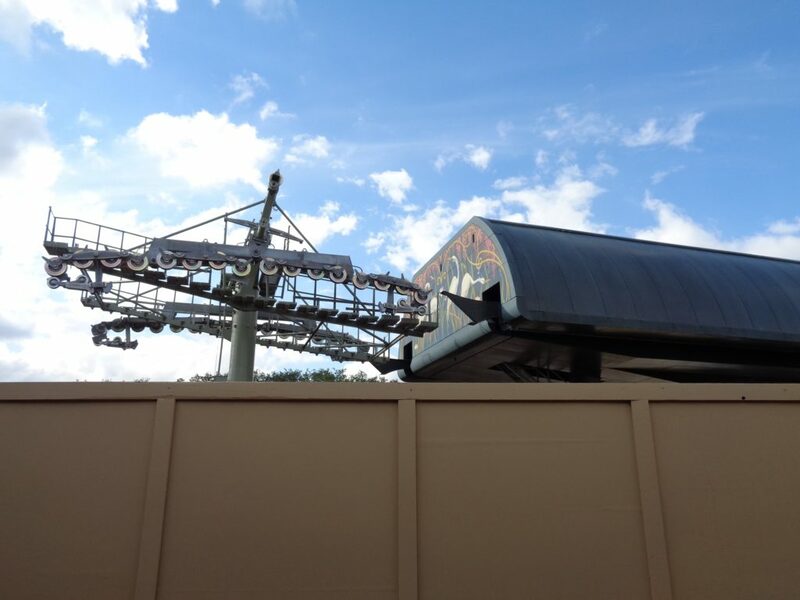 The coaster will load in the old building and then launch out through this connection out to the large building, similar to the way Rockin’ Roller Coaster works at Hollywood Studios. 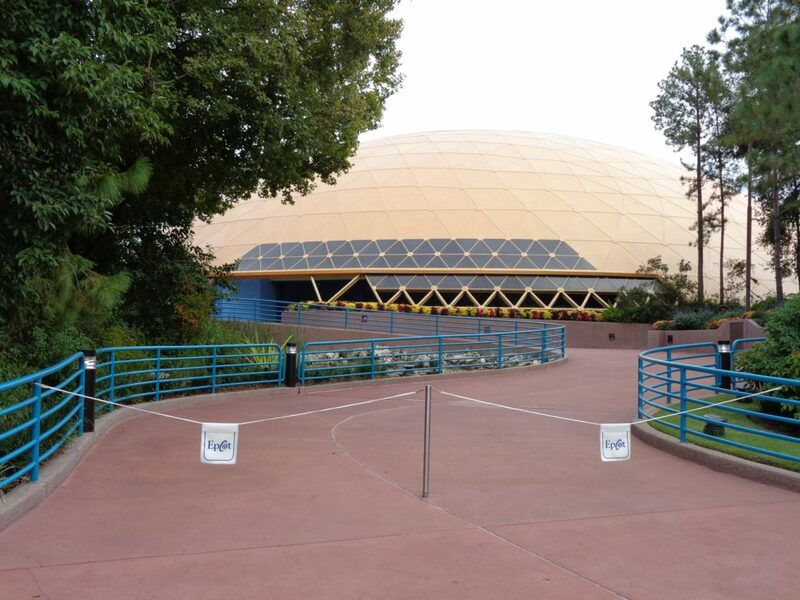 Now lets head into the park, to the former Universe of Energy building in Future World East. 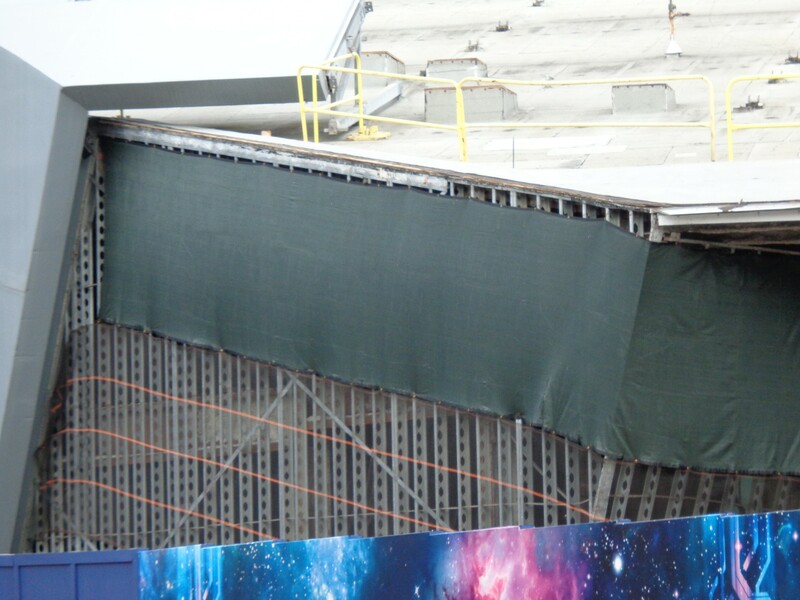 A new gray tarp has been added to make it harder to see into the construction site, but you can still see all the way through the building depending on where you stand. 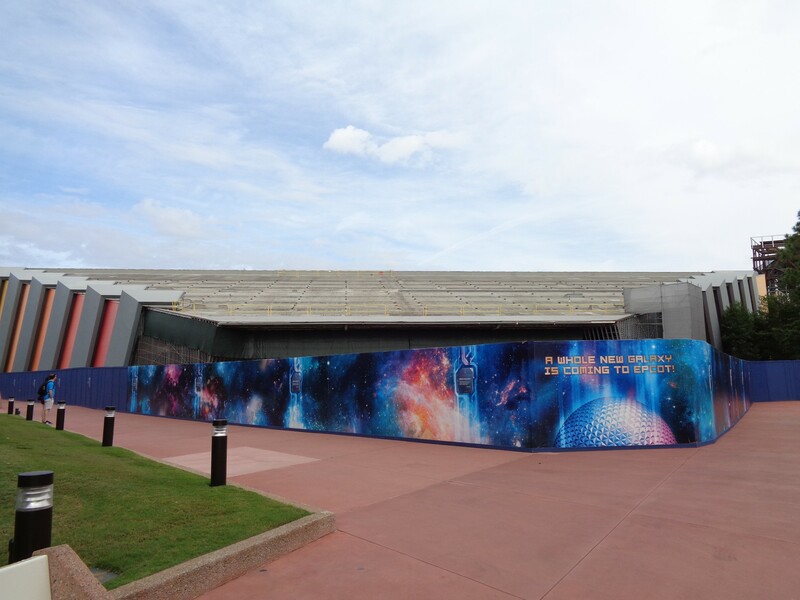 Rumor is the Universe of Energy building was in much worse shape than they thought when they started construction on this project. 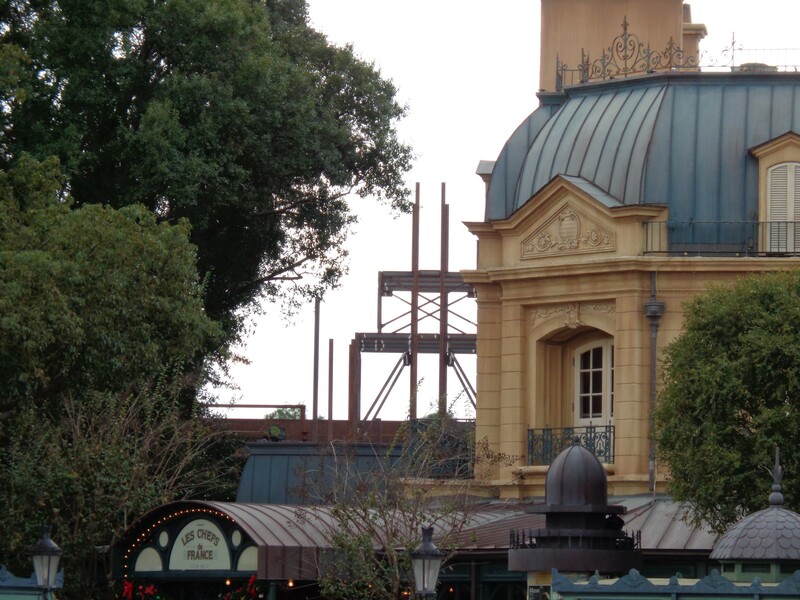 As a result it looks like they’ve had to remove much more of the structure than expected. 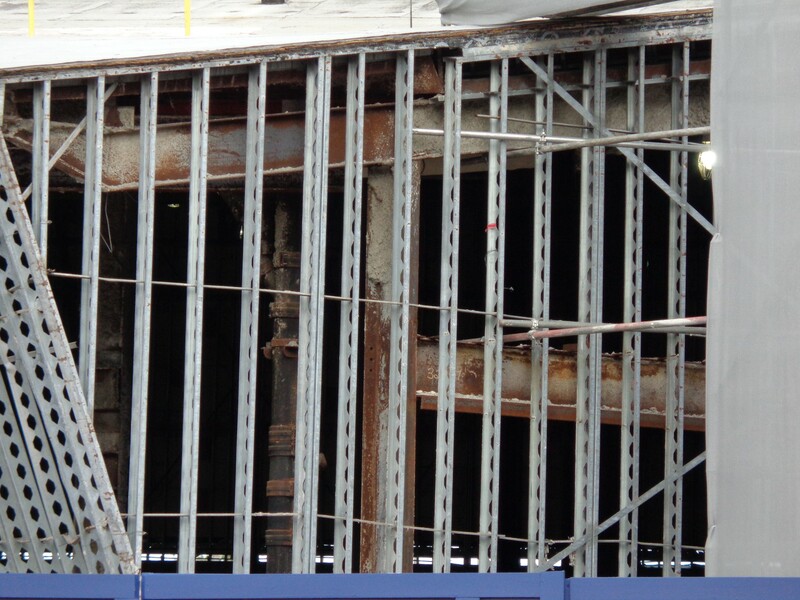 Closer views of the internal structure reveal its current shape and new steel is being installed to help bring the building back to life. 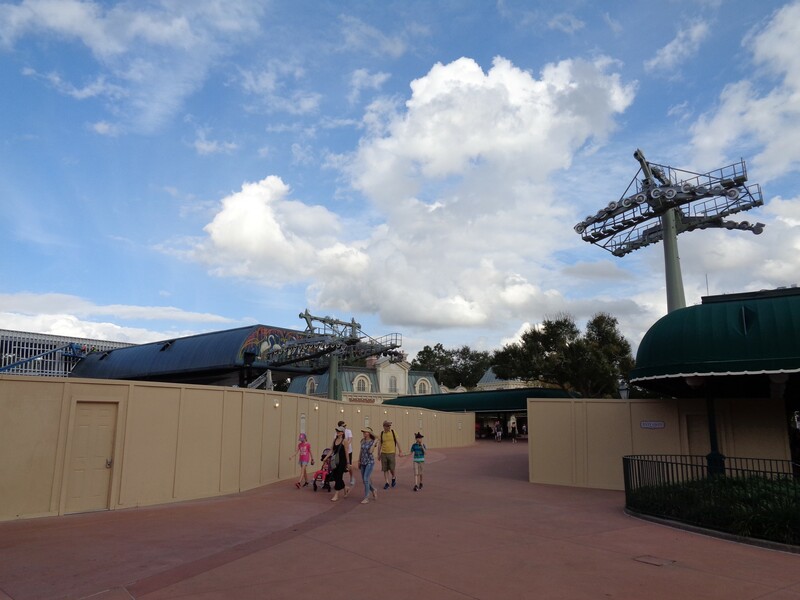 All of the solar panels have been removed from the roof, but hopefully they will be replaced with modern, more efficient solar panels. 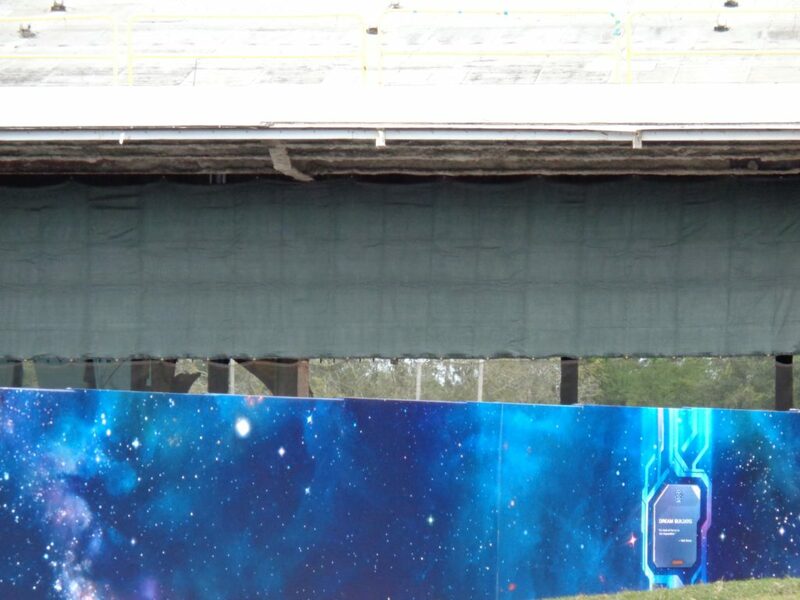 The concept art for the new Guardians of the Galaxy coaster has shown the building with solar panels still intact. 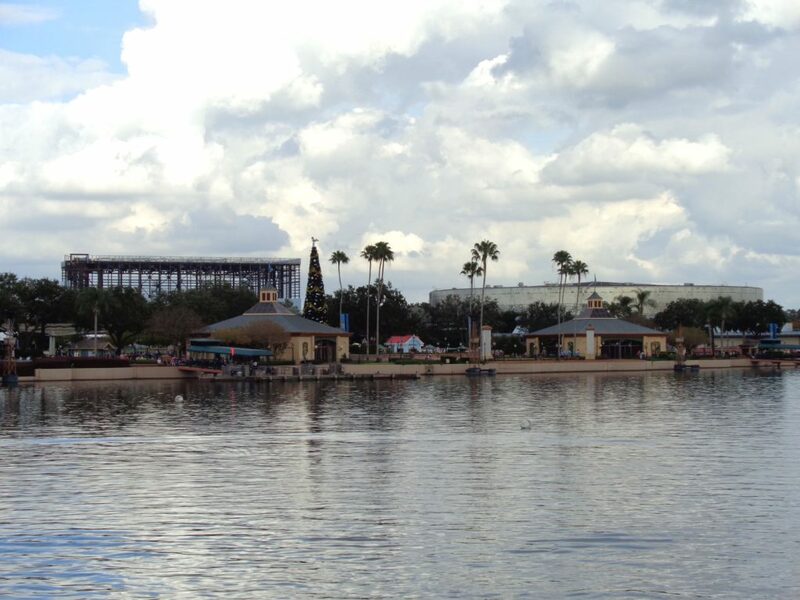 Over the top-right of the structure, we can see the massive coaster building looming in the background. 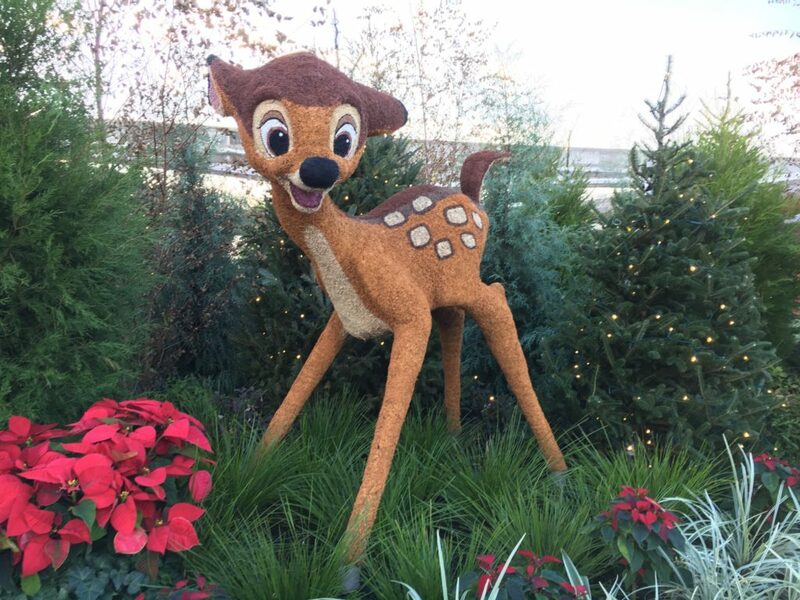 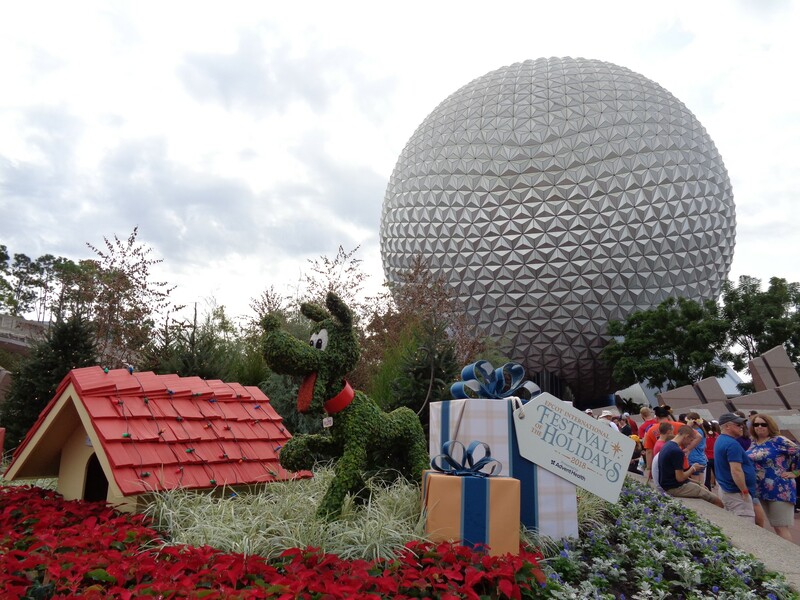 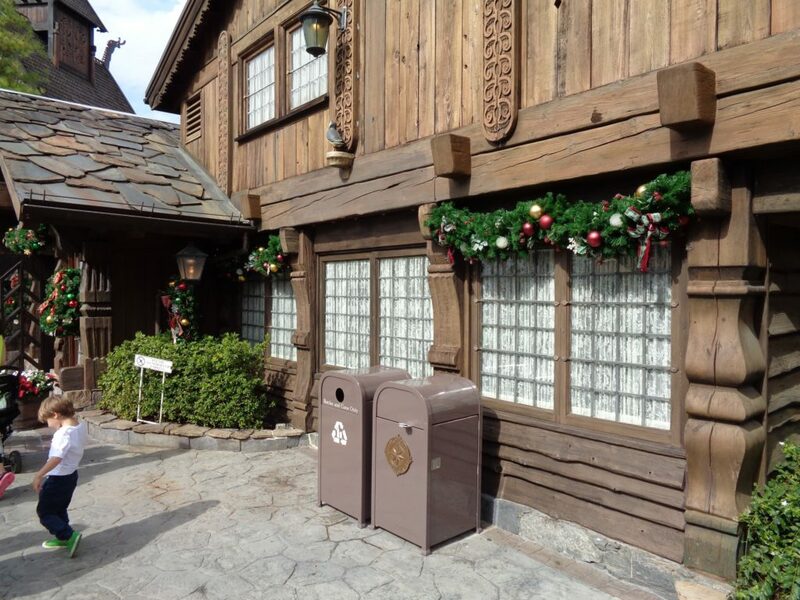 The old Wonders of Life pavilion is now closed, and is not being utilized as a Festival Center for the current Festival of the Holidays. 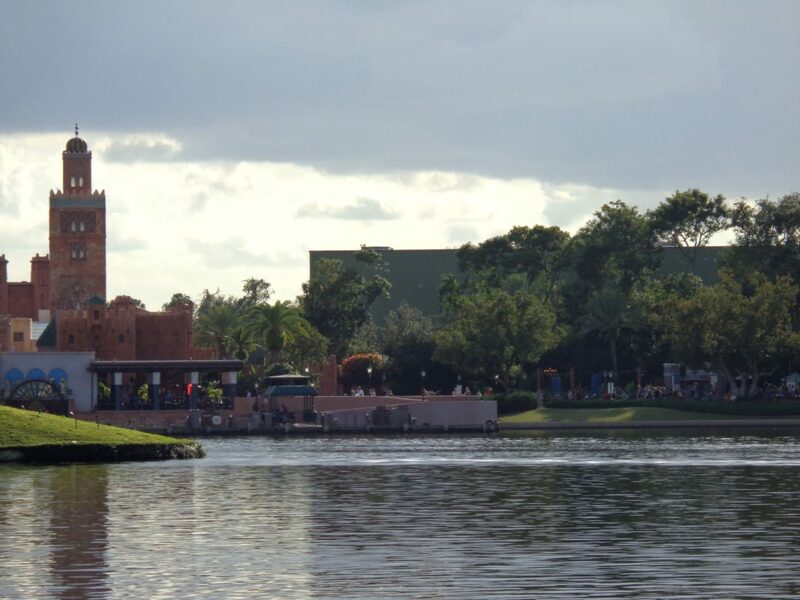 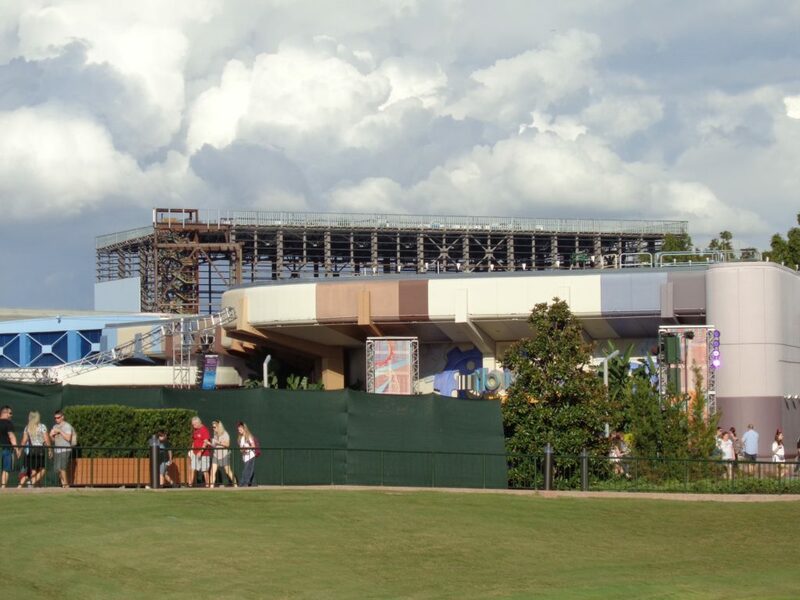 You can see the giant Guardians building sneaking up behind the pavilion from some angles though. 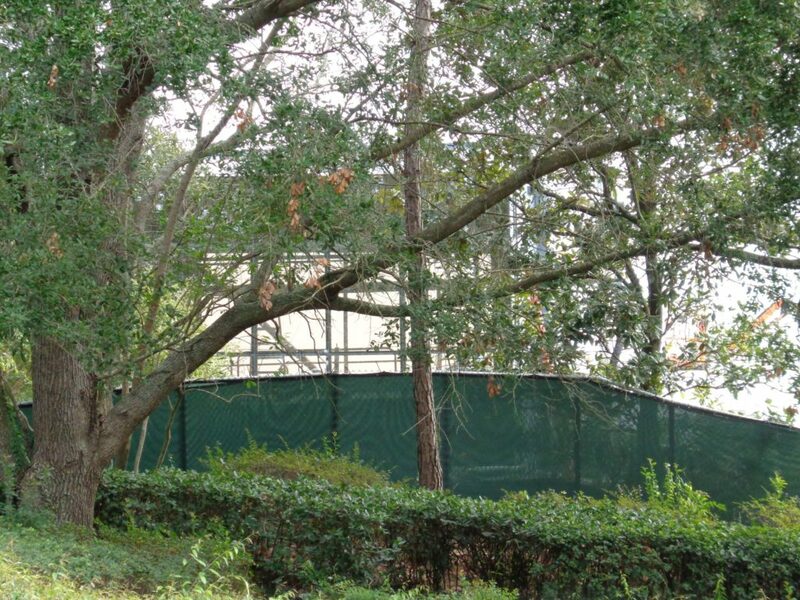 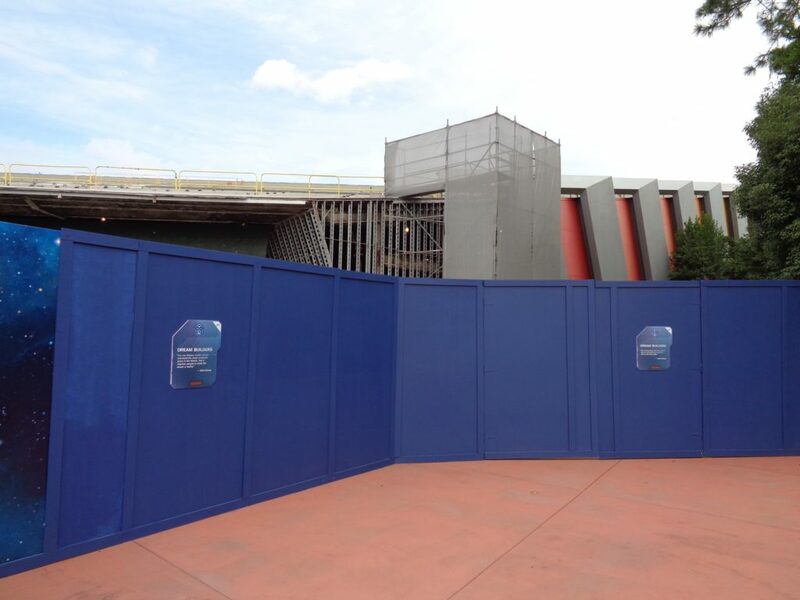 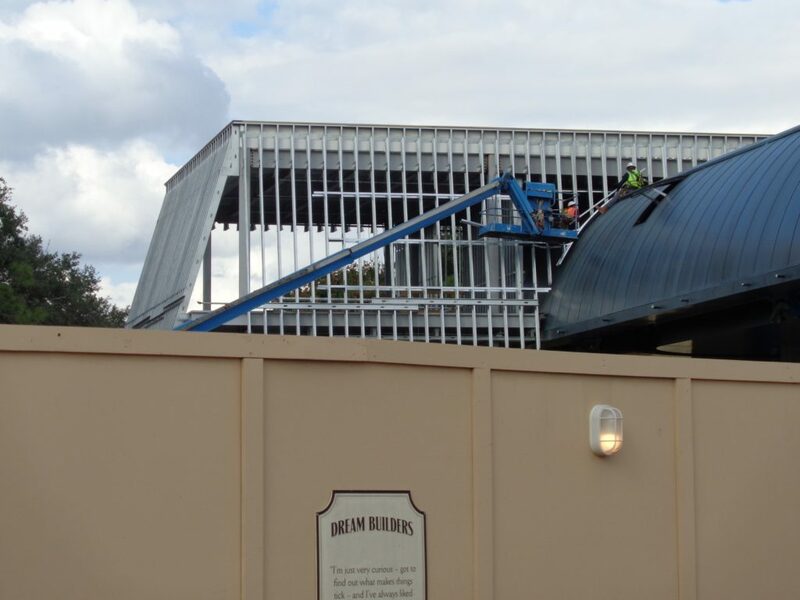 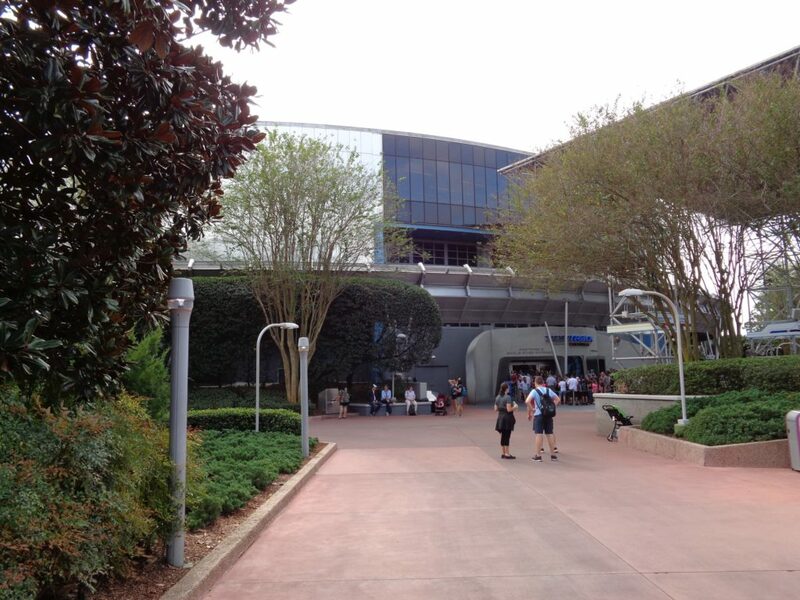 Let’s move on to check in on the upcoming space restaurant, connected to Mission: Space. 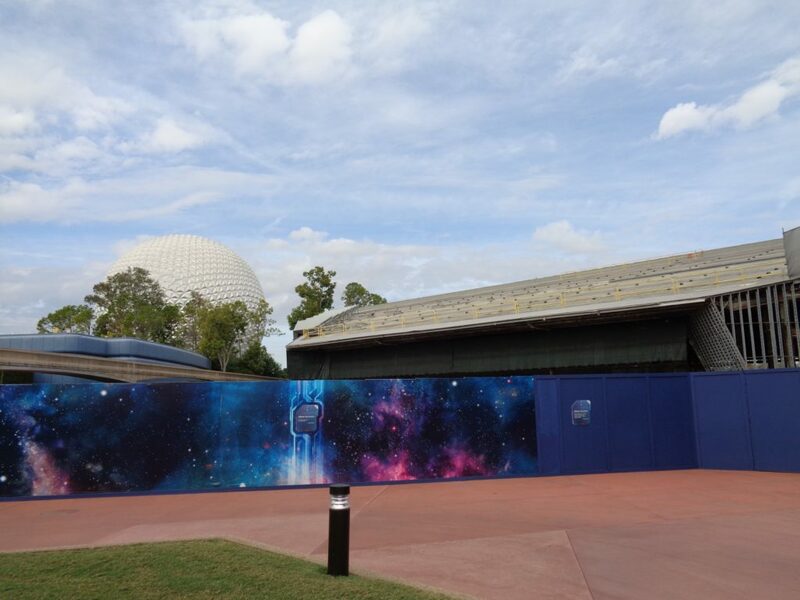 Recently a working title for the project was revealed as “Space 220.” This new restaurant is being built on the right side of the Mission: Space pavilion. 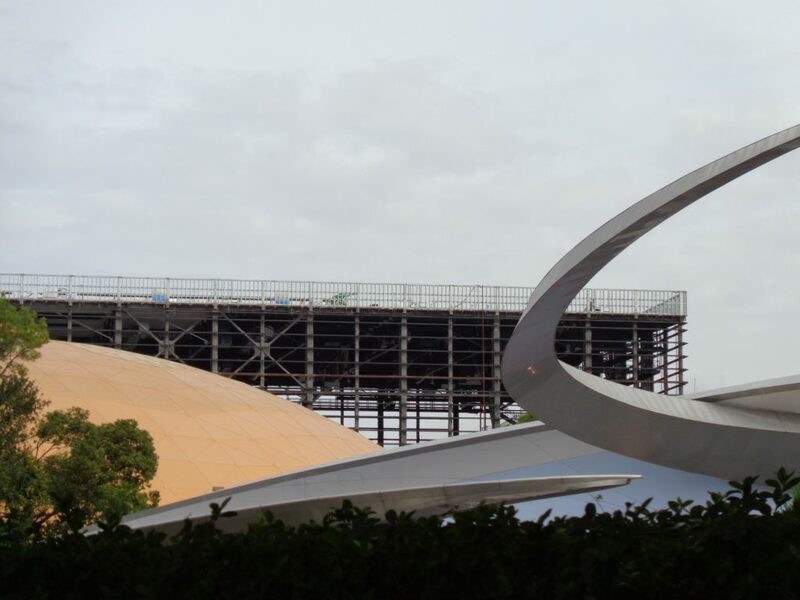 You can see construction going on for the project between Mission: Space and Test Track, down a pathway to a backstage gate. 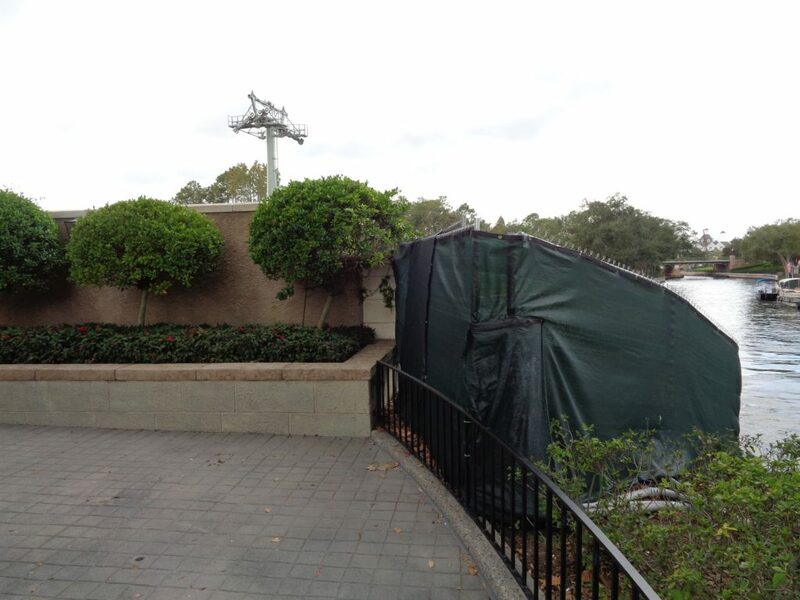 Over in the Norway Pavilion, the “Puffin’s Roost” store facade has been closed off and replaced with windows. 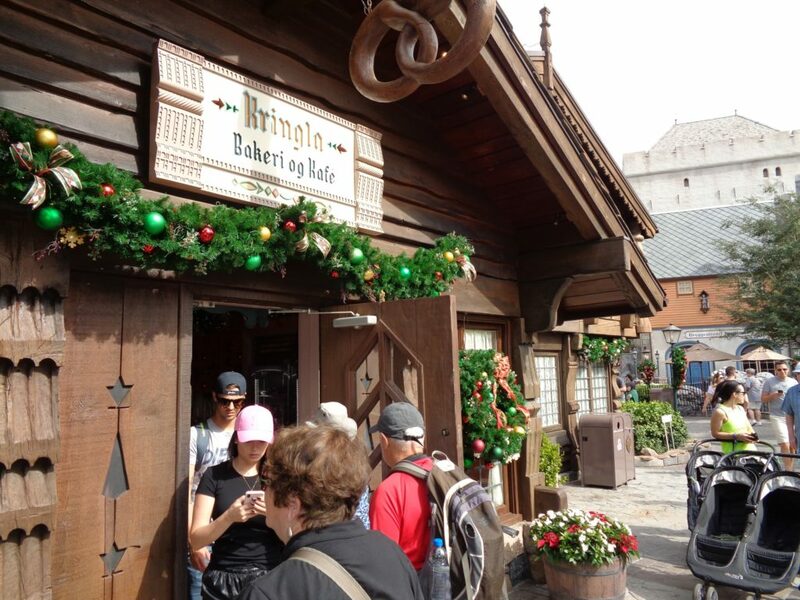 When the Kringla Bakeri was expanded recently, the Puffin’s Roost store became the new kitchen space for the popular bakery. 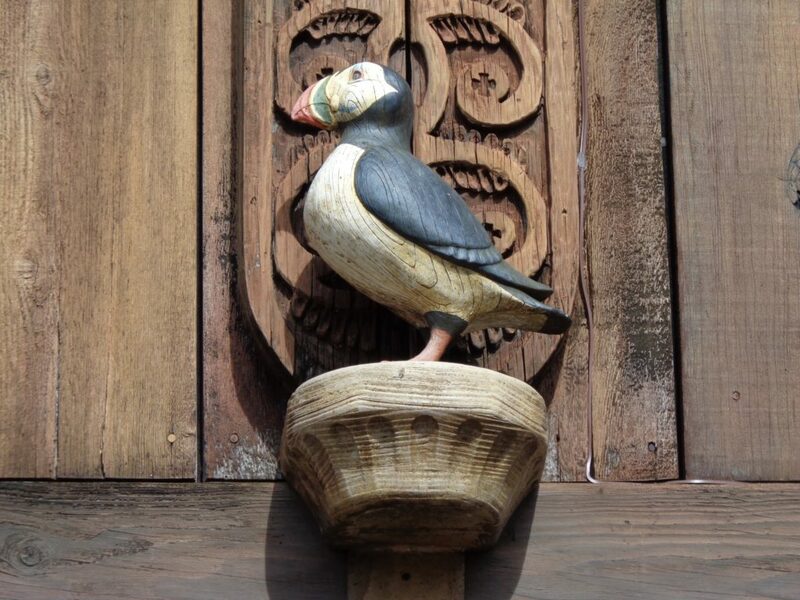 While they removed the gift shop entrance, they have kept the Puffin statue that used to perch above the doors, but now he perches above some windows. The Fjording gift shop entries and interior space has remained through construction. 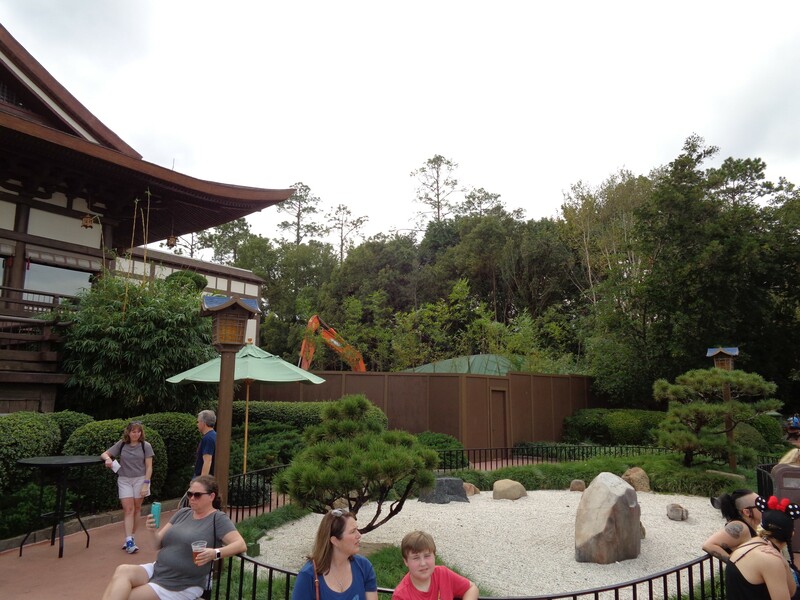 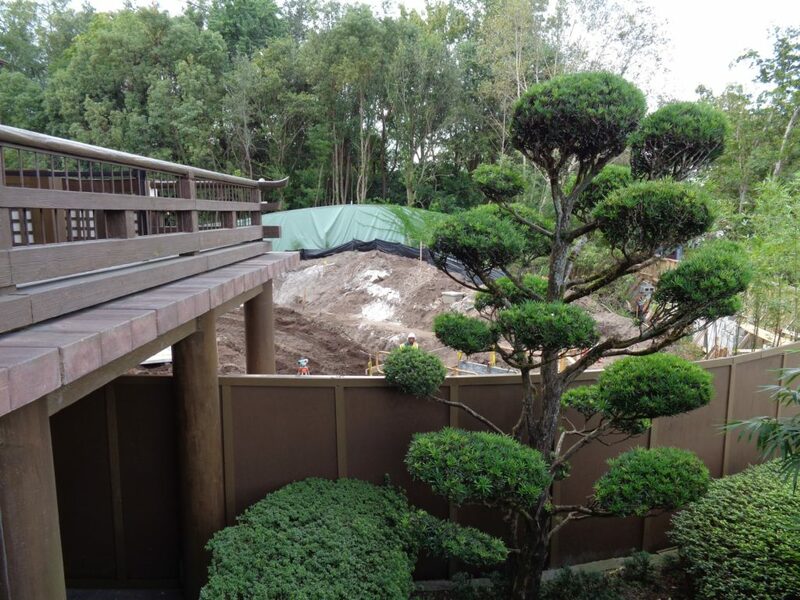 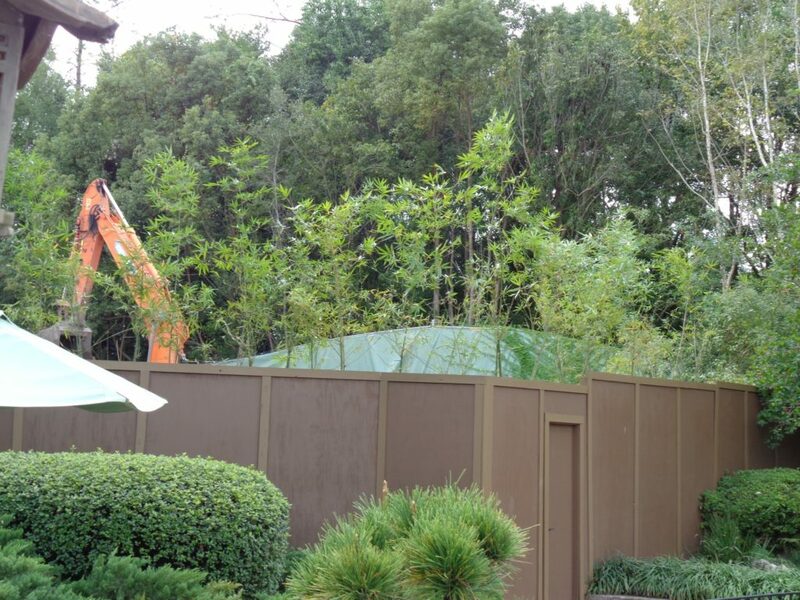 Over in Japan, land clearing continues to make way for a new signature restaurant, located on the right side of the pavilion. 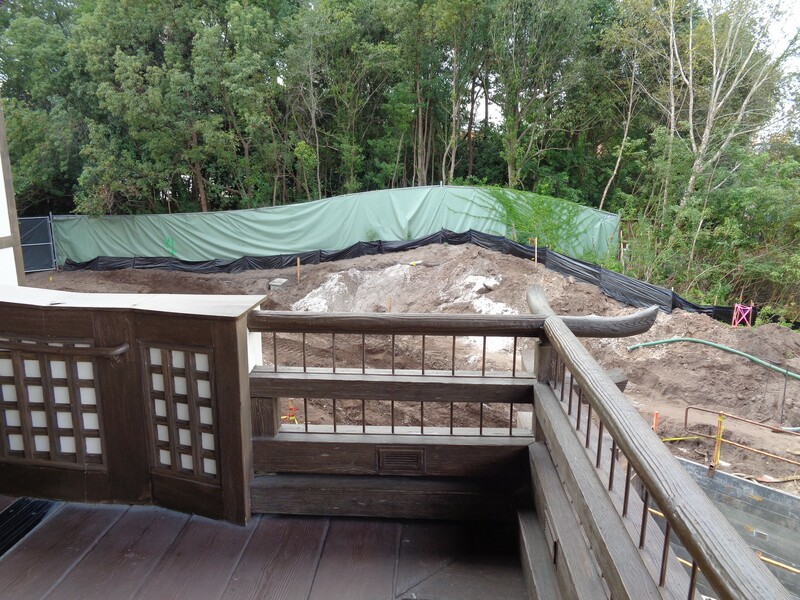 Work walls are up and we can see the area from the upstairs entrance balcony for the other two table service restaurants. 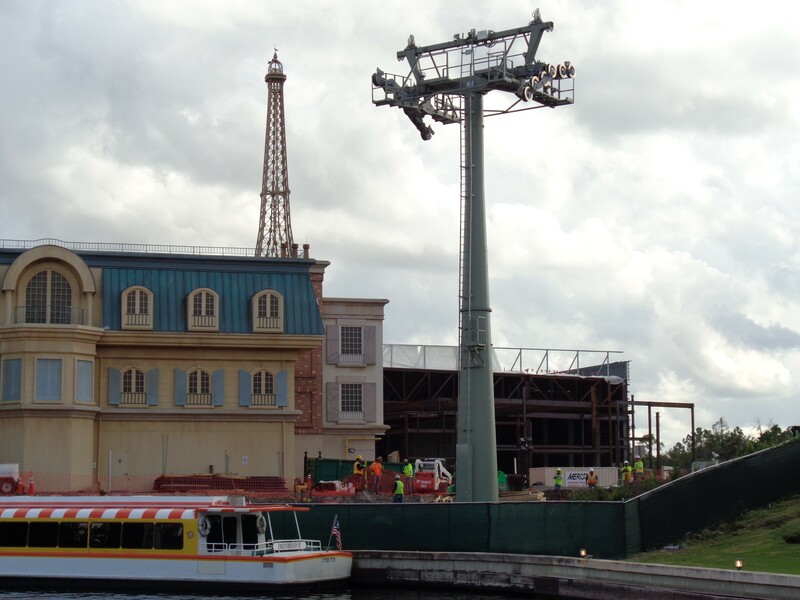 Checking on the Disney Skyliner construction coming into Epcot near the new International Gateway entrance station, we can see a support peaking up behind the Eiffel Tower, as seen from the highest point of the bridge coming from the United Kingdom pavilion. 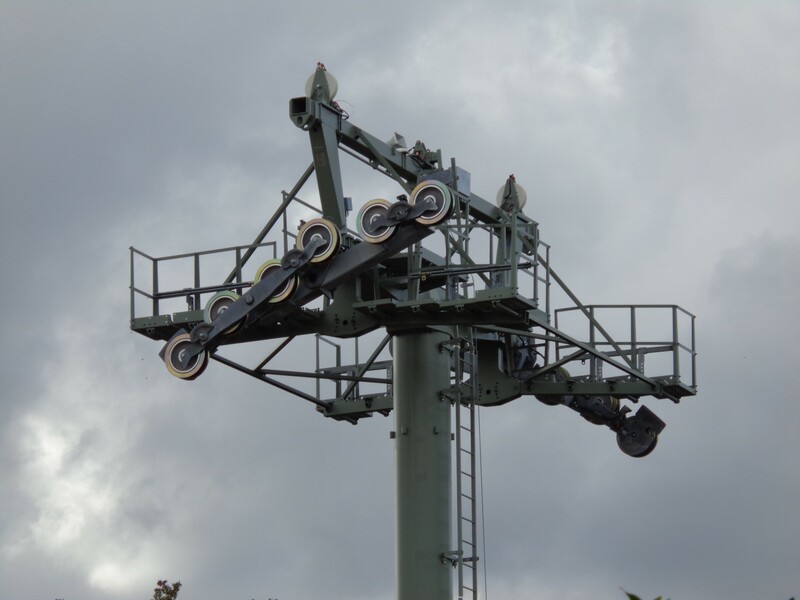 All of the supports are in place for this new transportation system, opening in the Fall of 2019, so work has now turned to completing the stations. 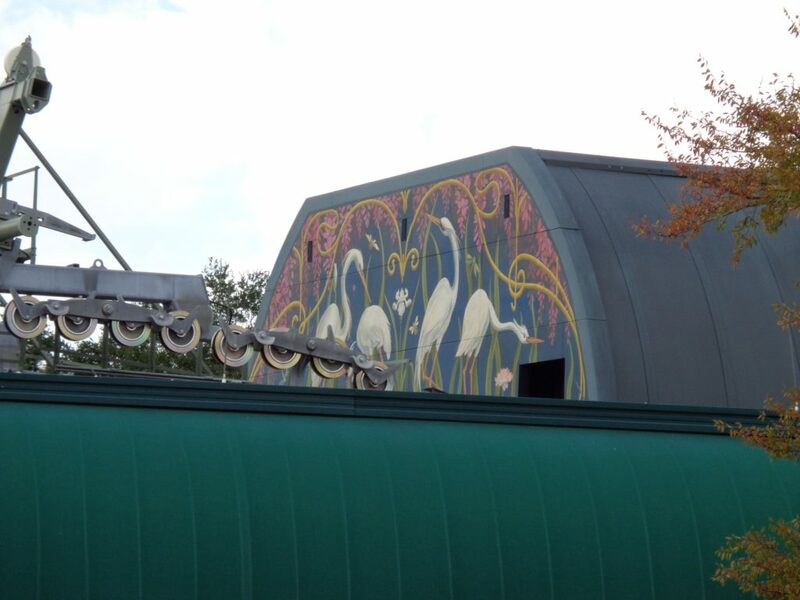 Epcot’s station includes a hand-painted mural. 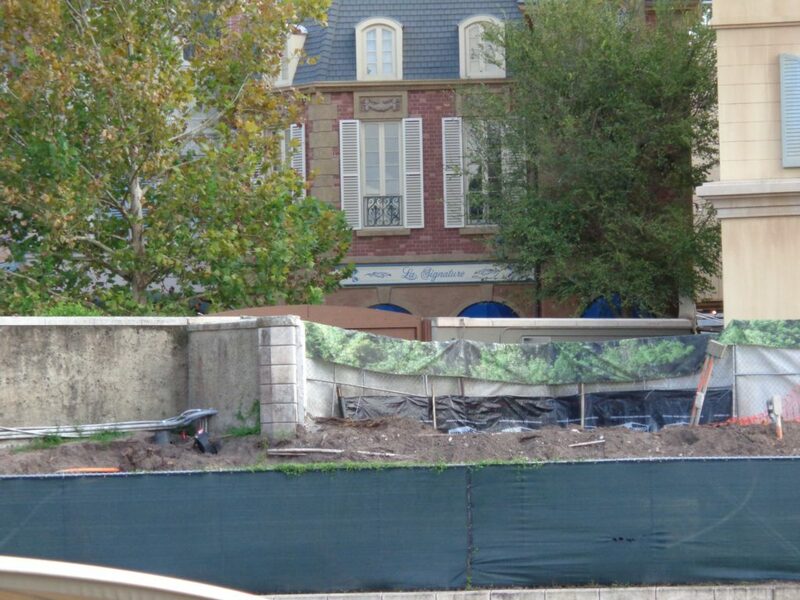 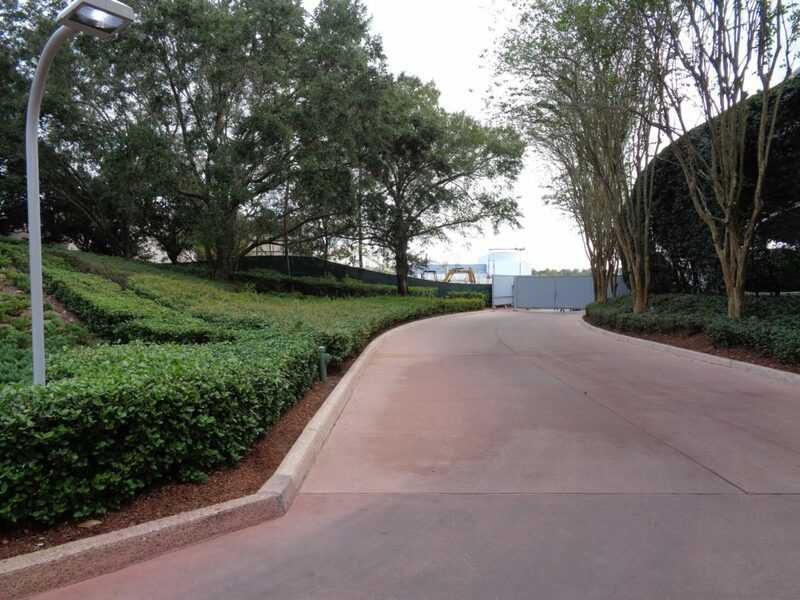 On the right side of the existing France pavilion will be the future entrance to an entirely new side street leading to a new street behind the pavilion. 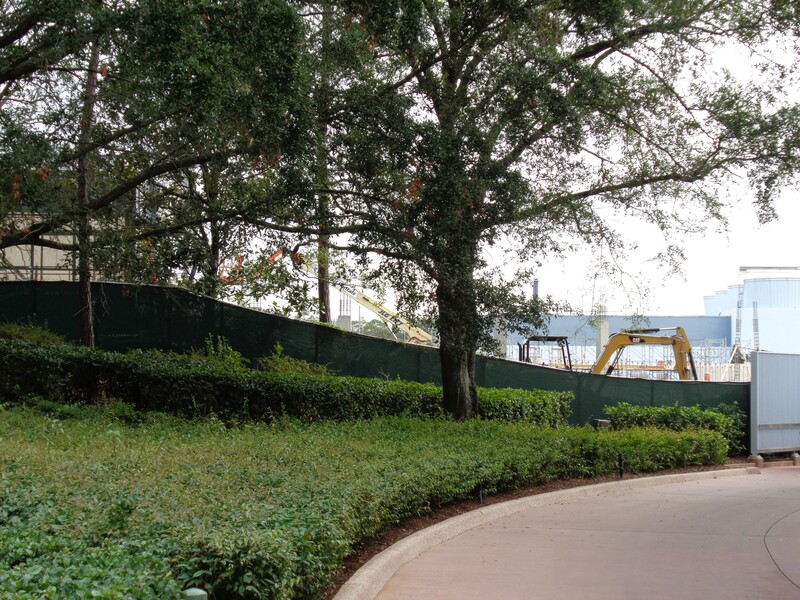 At the end of that street will be the entrance to the new ride, which we now know will be called “Remy’s Ratatouille Adventure.” The new ride’s facade is starting to take shape and can be seen from the walkway to Disney’s Boardwalk just outside the park, as well as in between buildings as viewed from the United Kingdom pavilion. 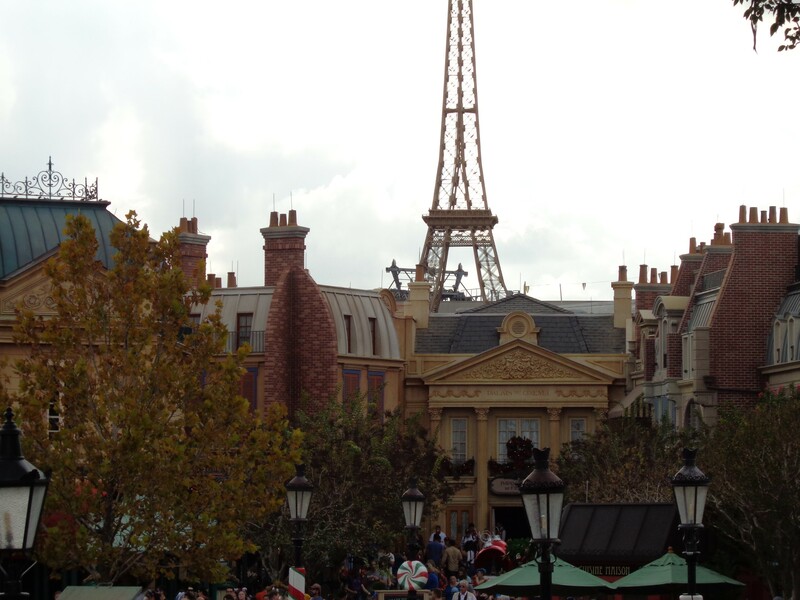 Great photos. 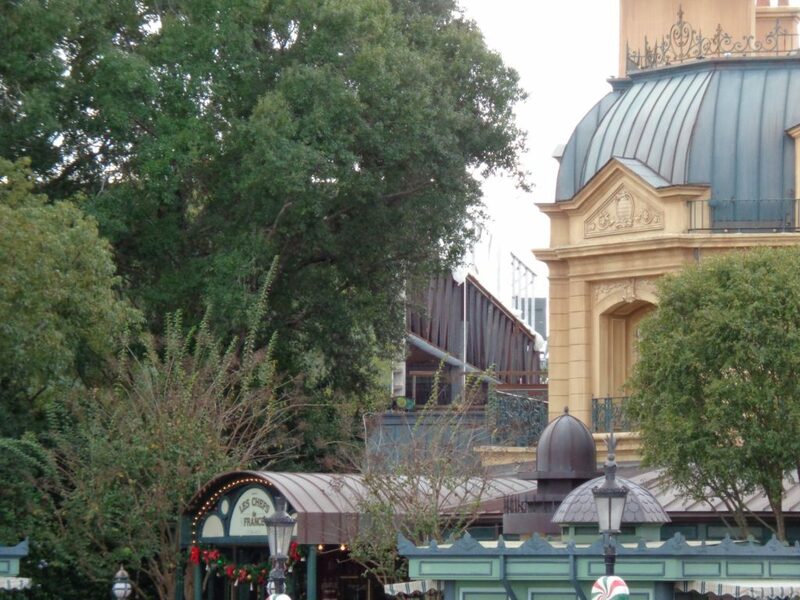 Great descriptions with the photos. 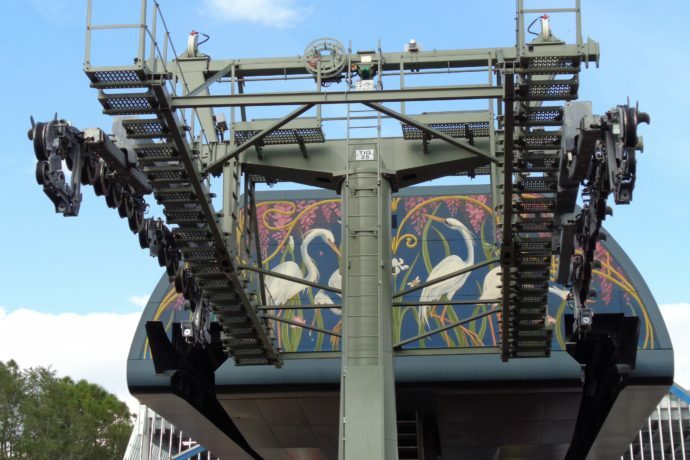 Loved going through this. 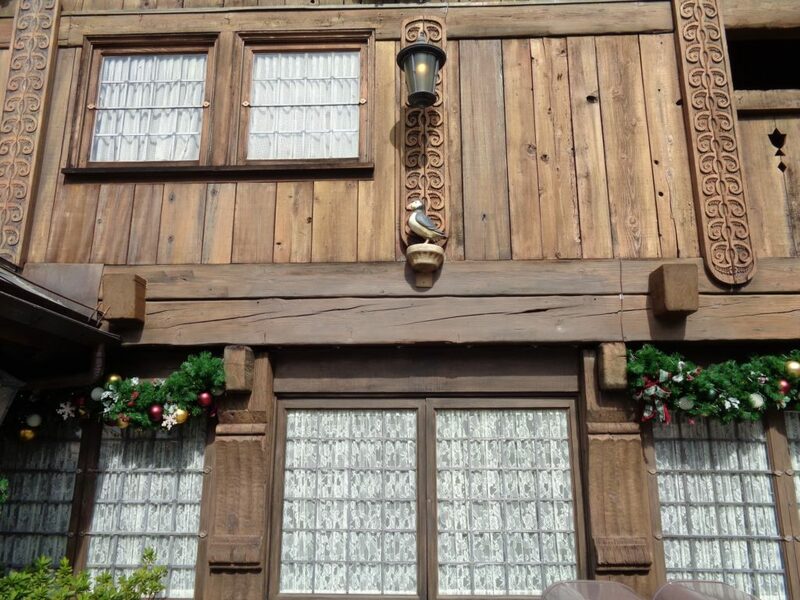 Perfect amount of detail. 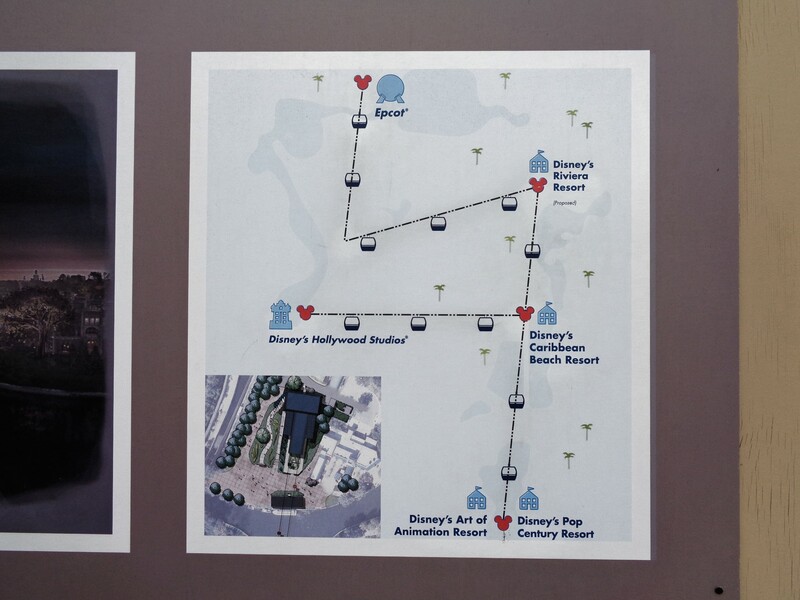 Oh yea, gonna be really convienent for anyone staying at those resorts. 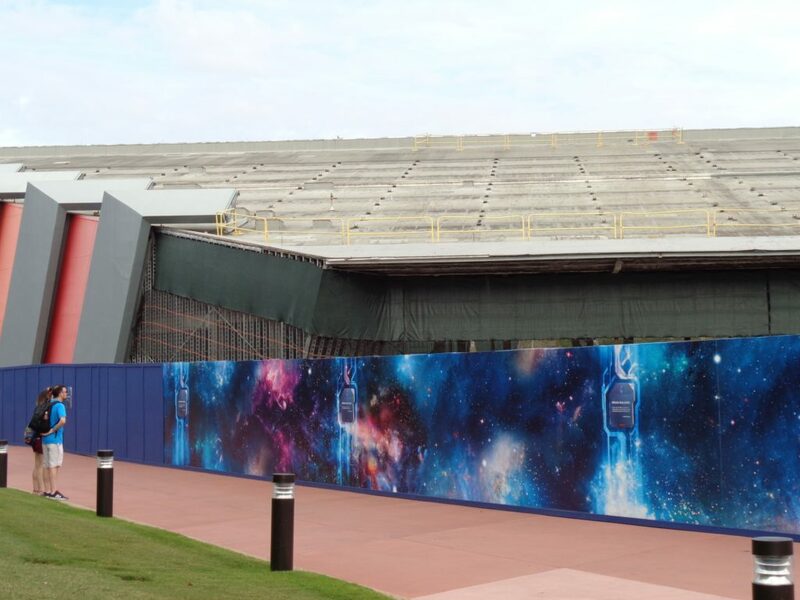 And this may only be phase 1. 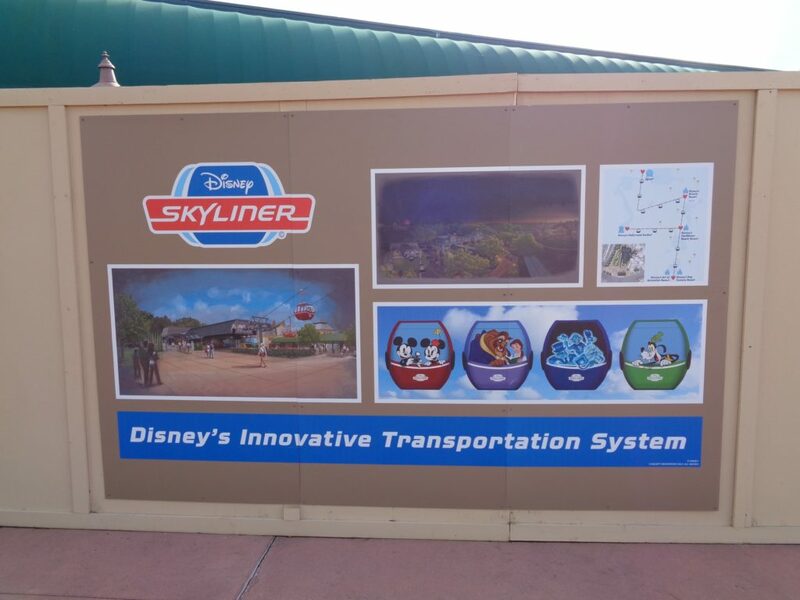 If it does well they can expand it to connect more resorts. 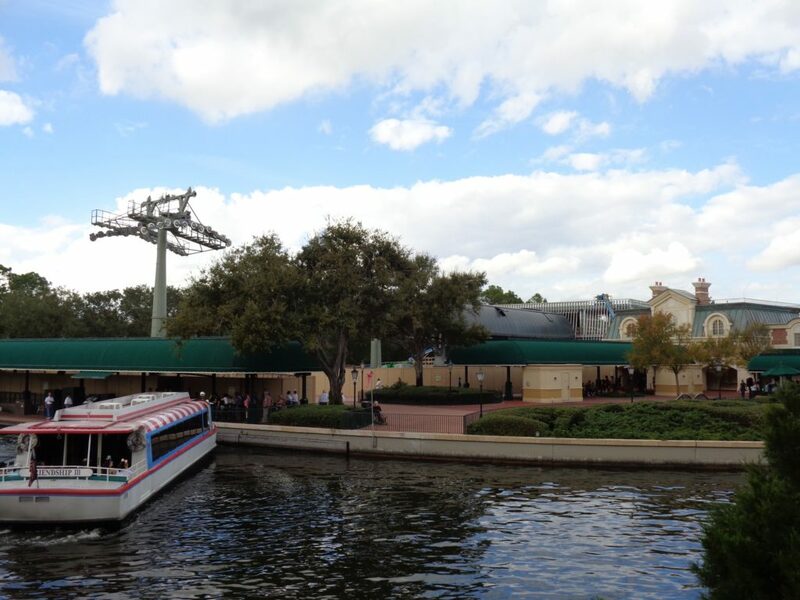 This will be like the much needed continuation where Monorail left off.